Last week our studios have been fully crowded. Eve Martin & Nico Bueno are shooting their short “Terre Vague”, a rather experimental film, combining live-action and stopmotion. The quite large crew (ca 25 people) was shooting on location for a while and than landed at the Beast studios for 10 days of green key shoot. 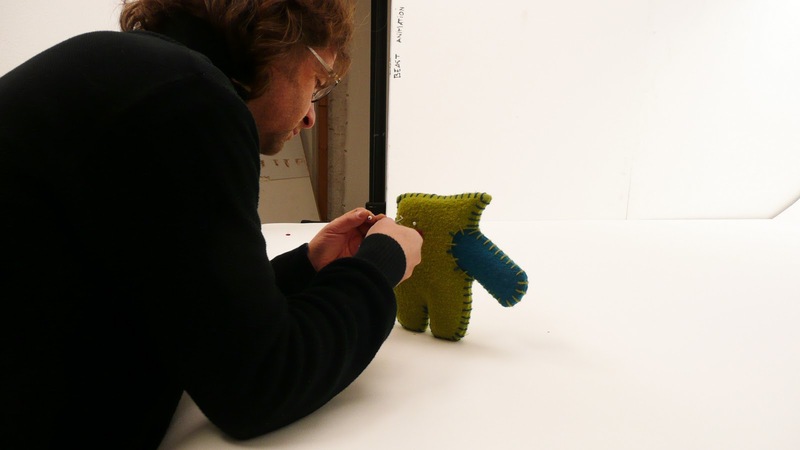 At the end of March the stopmotion part will be shot in our studios. The film is produced by La Parti Production and Beast Animation. In the meantime we’ve been doing a live shoot for a new Paranix commercial: models, styling, agency, technical crew, etc invading the rest of our studios. Beast is producing and directing the film. We’ll post some pics when it’s on air. And while all this is going on we’re working on our super short series: Bazas!